Je sais, Halloween, c’est passé… Mais c’est beau! 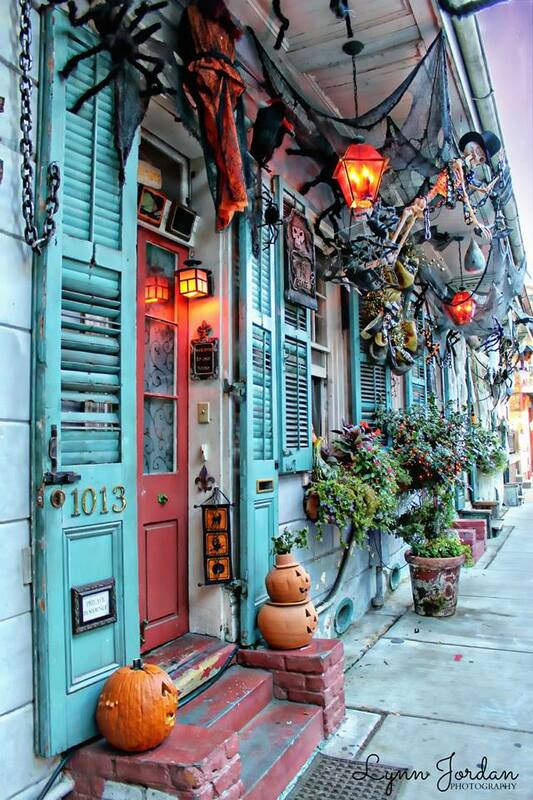 With its rich history, New Orleans has to be one of the coolest, spookiest, fun places to be for Halloween. Enjoy a revisit to this post from last year. An awesomely spooky decorating job! When we lived in Pascagoula, Mississippi for a while, we drove through New Orleans but I have never actually had a chance to walk around the area. My husband says the French Quarter can be a little dangerous at night? I’ve gone through it in daylight–never at night. It looks much better now, than it did after the hurricane. http://turkishmosaiclamp.com handmade mosaic glass lamp.